Add vintage flair and glamour to your Christmas tree with this stunning Organza Gold Tree Topper. Measuring around 18cm wide by approximately 18cm in height, it is the perfect way to give you holiday tree a finished look that brings a sentimental warmth to your overall decor. 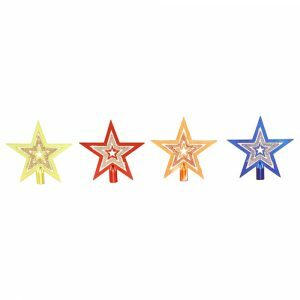 This star will complement any decorations, ornaments, or baubles that you may choose to use, and it has a very familiar, simple style that many may appreciate when adding their cherished family ornaments to their holiday displays. 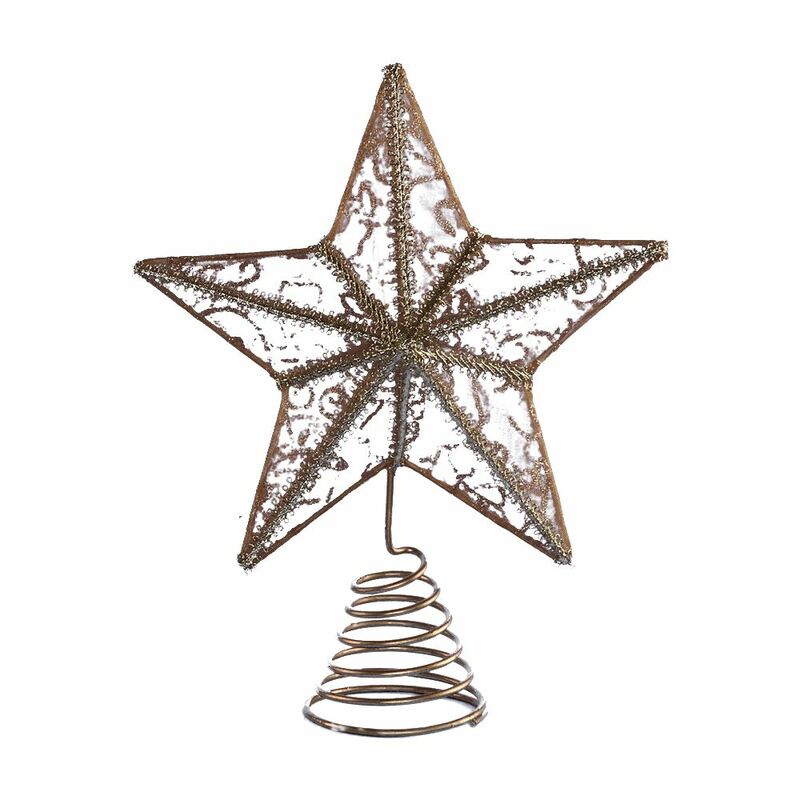 This star is easy to position, in part due to the lightweight organza and burnished metal framework, and also due to the spiral fixture that allows flexibility for various sized trees and branches. This would also be a very thoughtful gift to give to someone who is just starting out with their own collection of cherished holiday accents and keepsakes.